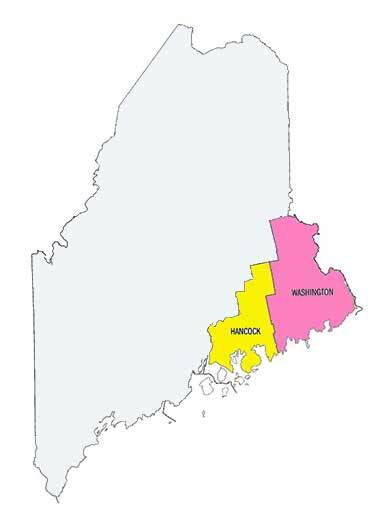 About Down East Maine Coast: If you are looking for an oceanfront property that is “far from the maddening crowd”, then consider the Maine’s DownEast region, which encompasses the easternmost portion of the state, roughly from the Penobscot River to the Canadian border, including rural Hancock County and Washington County. The term “DownEast” was traditionally the direction sailing ships traveled from New York and Boston, downwind and to the east, while actually traveling up the Maine coast. 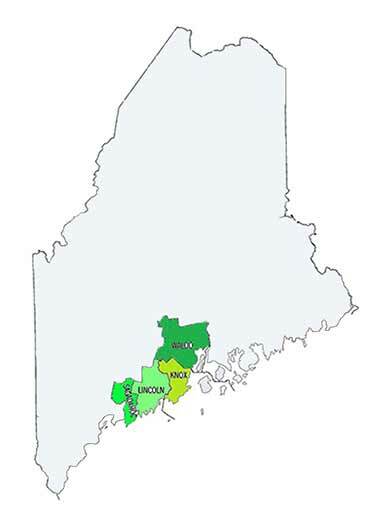 Popular destinations in this region include Acadia National Park, Bar Harbor, Ellsworth, Castine, Blue Hill and Lubec. One of the jewels of Down East Maine is Acadia National Park on Mount Desert Island — one of the most visited national parks in the United States. This park not only offers the scenic beauty of its rocky beaches, Cadillac Mountain (the highest in the east), amazing wildlife, miles of hiking and carriage trails — but also 26 pristine lakes and ponds. A few miles before the park is the busy town of Bar Harbor, once the playground for America’s rich and famous and today, home to a variety of fascinating shops and restaurants. By owning a Maine oceanfront property “DownEast”, away from the crowd, you can also enjoy this area’s rich nautical history, picturesque towns and villages, dining on fresh lobster and wild blueberry delights, scenic lighthouses and diverse recreational adventures from snowmobiling to canoeing. Let us help you find the perfect oceanfront home by using our Customized Property Search feature below. Our specialty is providing buyers with an easy way to search for their “dream” property — just click on Customized Property Search, tell us about the property you would like to find, and we will do our very best to find it for you…you will find this a whole lot easier than wading through many pages of listings on other websites!